When I returned home from walking the dog last night, the dusk had turned to dark. In front of my house, a kerfuffle arose on the street between two cats, one of them mine. Shady Grove, our fluffly British Longhair, flew up a tree. The dog nearly pulled my arm off, barking, heading to Shady Grove’s rescue. The perpetrator cat shot quickly away; he was a black and white thing I’d never seen. Skinny, but vicious looking. Shady sat perched on a high branch, shaking. We have families of foxes that live in our neighborhood, bordering a park, so it could have been worse. The house was dark, including our seven-year old Leila’s bedroom window. “Mom!” she called out, “there he went!” pointing to the other cat. The front lights went on and my husband opened the door, wondering what the ruckus was all about, dogs barking, cats screeching, mom coming home in the dark and a little one with a flashlight in the window, eyes wide and caught in the play by play. “Mitch! Did you see that cat?” I asked him. “Get the treats!” I let the dog off the leash and she bounced around the tree, wildly. Mitch shook his head, disinterested, and came back a minute later with the familiar rustle of the plastic bag. Cat number two ran outside to get in on the action. “He’s scared, Mom! I can get him down! Let me come!” Leila cried, but i hushed her from the street. Lights from the street lamps glowed orange and cars passed slowly leaving drivers wondering what exactly i was up to. “Back to sleep, Leila!” I grabbed the treats from Mitch, gave him the dog, and stood under the tree shaking the treats for Shady, my arms extending as if he would jump the ten feet down and straight into them. I circled the tree, trying several angles, and eventually gave up. He got up there, he could damn well get down. I started up the driveway. “Mom, don’t leave him!” Leila called. “Shady! Come on, boy!” Her flashlight bounced around the window sill in an excited state, and ten minutes later, he listened to her. The next morning, the buzz around the breakfast table was alive with Leila’s recounts of ‘the Shady incident’, and she bragged that she had been the first one to see the whole struggle transpire. She then clarified how it was that she made Shady come down. “Mom,” she said, “I begged Santa, I said, Santa, please make Shady be okay, please please Santa.” She held her hands together in prayer and demonstrated how she looked up to the heavens, or rather, to the um, North Pole. We’re no where near Christmas here, yet Santa is her all year miracle worker. We’re away in the manger, and we haven’t returned. Somewhere in her religious education (Einstein’s theory of relativity plus the Big Bang theory) the traditional Jolly St. Nick has inserted itself into Christian mythology and pouf! Santa saves cats. As much as we’ve tried to explain that life is long series of unique cosmological events, coupled with the fiery energies of our passionate pursuits, she’s seven and she needs something a little ….easier to manage. Well, then, my creative little lady, go forth and spread the word. 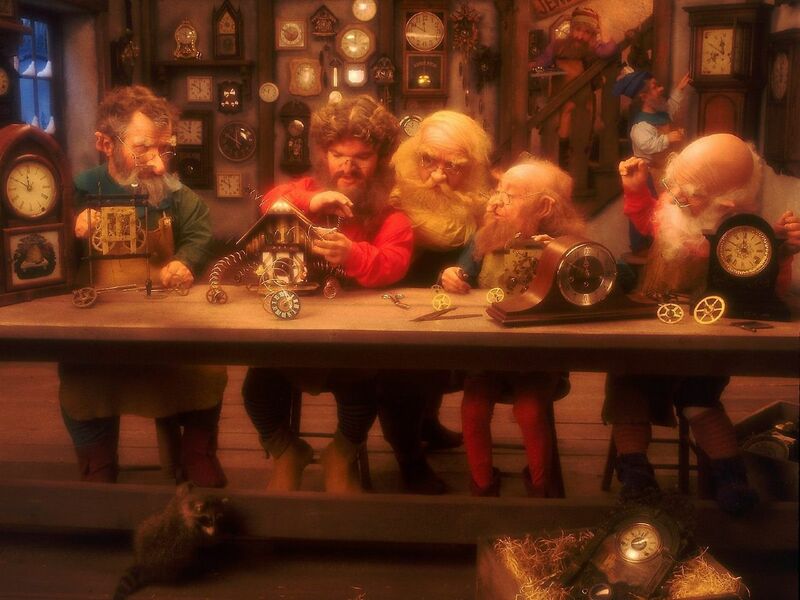 When I think of it, Santa’s Workshop does look a lot like The Last Supper. Thanks David. I feel the “religion and kids” thing just never ends! The story of Lei is such a reflection of thy self……Mystical wonderment…. !